Twenty-eighth year. Since early 1985 I have been thinking about the topic of forgiveness. I have thought about it in the area of psychology, then more specifically in developmental, clinical, and counseling psychology. Then I have thought about it more broadly in the areas of psychiatry, social work, law, education, and philosophy. The journey has brought me into the restorative justice movement, the peace movement, the battlefield, the clinician’s office, and the classroom. It has brought me to the Balkans, Belfast, Brazil, Bogota, Dublin, Firenza, Liberia, Padua, Roma, and beyond. I have written so much on the topic that I cannot keep track of it all—articles for publications in Jerusalem, South Africa, Australia, Rome, America. 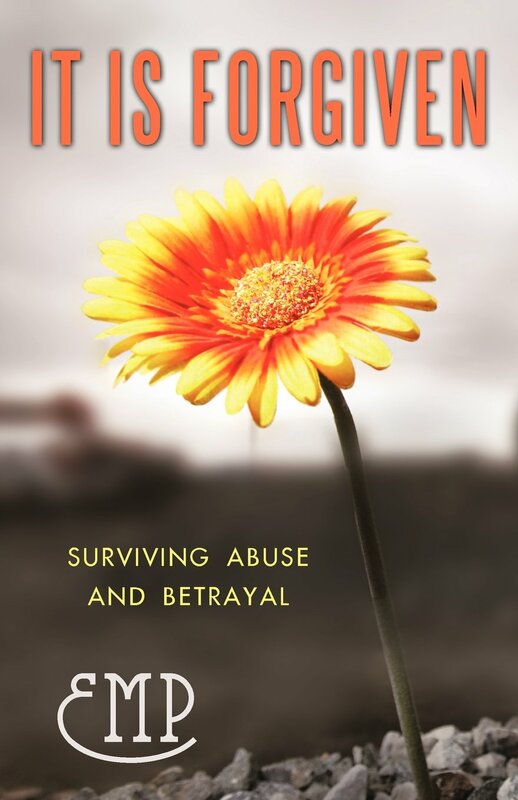 No publication, no thought, no application to hurting lives is higher than my most recent book, The Forgiving Life. Here is why: I wrote it from the heart, a heart that has close to three decades of experience with the term forgiveness. I have come to realize that forgiveness is so much more than a merciful act toward someone who was unfair. To forgive is to embrace, embody, and then to personify forgiveness in one’s life–and then to others’ lives. To forgive is to touch the lives of the hurting, including the one who hurt you. Forgiveness is actually cultivating a life of mercy and then to leave a legacy of love in the world, a world that sometimes attacks and tries to kill love. The love I consider here is not, as Martin Luther King, Jr. said, “sentimental bosh.” No, it is the kind of love that is strong and in service to others. It is the kind of love that abides in the heart and does not come out only on special occasions. It is the kind of love that becomes part of a person. The Forgiving Life is basically a Socratic Dialogue, in the spirit of Plato’s writings, in which two good-willed people grapple with the notion of forgiveness until they understand it as best they are able today. The dialogue is between Sophia, who has a lot of forgiveness miles on her, and the feisty Inez who wishes to cast off the shackles of fear and anger. The dialogue has allowed me to go considerably more deeply into the topic of forgiveness than ever I have done before. The dialogue, at the same time, makes it my most accessible work, available to anyone who wishes to spend a bit of time with this life-giving topic of forgiveness, and perhaps to allow that topic to transform one’s life. I am indebted to Plato for showing me the way to accessibility. I am indebted to Aristotle for showing me what the moral virtues are, including forgiveness. Thank you, gentlemen. I hope you are proud that your ideas, from over 3,500 years ago, are living, although imperfectly, in my heart as I pass on your legacy in the hope of passing on a legacy of love and forgiveness to others. What would you do if you grew up with a strained relationship with parents that extended into your adult life? What would you do if, on top of that, you experienced as an adolescent the laughter of rejection from peers (which we would call bullying today)? Then, what if life added an extremely controlling and (physically, emotionally, sexually, verbally, and financially) abusive relationship with one’s common-law partner that went on for years? What if he took your two young sons and threatened to never give them back until you signed a lawyer’s contract stating that you must obey all he says or else he keeps the children and all the material goods? What if you were beaten so badly that when you called 9-1-1, you were not sure whether you were speaking English or Hungarian? What if you then waited two hours for the police to arrive and they wanted you to hang around until the one who beat you came home so that all of you could sit around and chat? Would you have the clarity of mind, the energy, and the emotional strength to recount all of this in a book? I learned to speak to myself positively and encouragingly: Every person is a human being, just like me. They aren’t any different, neither less nor more than me. They are people, and I am one of them. (page 17). EMP grew up in Hungary and eventually made her way to Canada with her two sons, where she wrote the book, published in 2012. What I find most fascinating about the book is the fact that EMP never talks directly about her forgiveness journey with her common-law partner. The forgiveness is seen subtly in her prose directed toward Joseph, the common-law partner. As you read, pay attention to the tone. Never once does the author strike out in anger in any way toward him. She is shocked, deeply hurt, disgusted by his actions, but on every page he remains a person, someone who could be redeemed, someone who could change. Some skeptics would say that the author was seeing him through rose-colored glasses, but you will have to read the book to know this is not so. EMP sees a very flawed human being, someone from whom she had to work hard to attain freedom, and she did. This is not a book written by a naive, denying, give-me-more-abuse person. No, instead, this is a book written by someone who stood in hope for years, was beaten, and found hope elsewhere. And in finding that hope elsewhere, she never threw him away as a human being. That is forgiveness. It is forgiven.